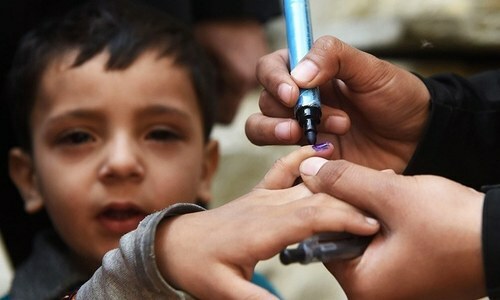 KHAR: Hundreds of people have been affected by leishmaniasis disease following the outbreak of the infection in different areas of Bajaur tribal district, locals and health officials told Dawn. They said at least 800 people had so far been infected during the last several days. The residents said most of the affected persons belonged to Salarzai, Barang, Utmankhel and Nawagai tehsils. Ayaz Khan, a resident of Gambat area in Salarzai, told this correspondent that at least six villages surrounding his locality had been hit by the disease. “About 100 people, mostly women and children, have been infected in our area,” he added. He said the affected persons were facing problems in availing treatment as local health centres were short of medicines. Ajab Khan of Barang said more than 80 people from different localities had been affected during the last week. He also complained about non-availability of medicines and treatment facilities in the local health centre. He expressed the fear that the disease would spread to nearby areas if medicines and proper treatment facilities were not provided to government health facility immediately. The residents said they had requested the health officials to conduct fumigation in the region, but to no avail. 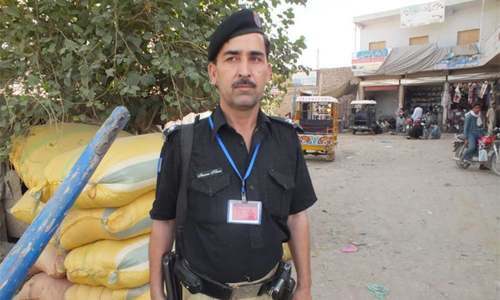 Meanwhile, a medical camp was held at the district headquarters hospital Khar on Friday on the special directives of Peshawar corps commander and inspector general Frontier Corps aimed at providing free of cost treatment and medicines to the victims. 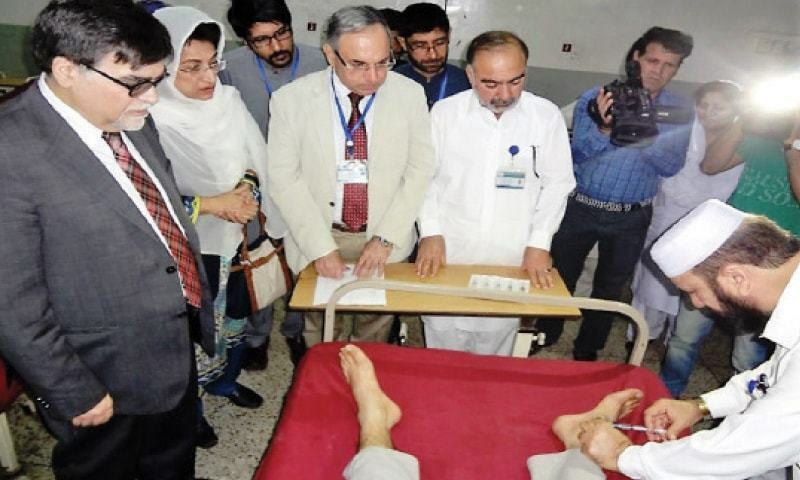 A team of qualified physicians and paramedics of the security forces health facility, Combined Military Hospital Peshawar were taking part in the camp. At least 400 patients suffering from the skin disease were treated on the first day of camp, which will continue for two days. MARDAN: Dozens of residents including women and children have been affected by leishmaniasis disease in Jangla locality of Katlang tehsil. The situation has become more dangerous owing to non-availability of vaccine to control spread of the disease, it has been learnt. Locals of the area while talking to this correspondent lamented that the relevant authorities had not been taking the issue seriously as they had failed so far to take practical steps in this regard. 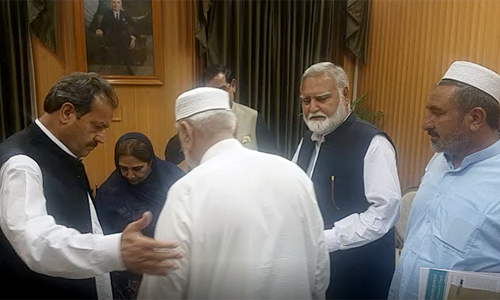 They complained that medicines for the disease were not available that was why some relatives of the patients had arranged vaccines from Swat district on high prices. KARAK: A day-long workshop on the precautionary measures against leishmaniasis disease was held in Karak city hospital on Friday for the malaria supervisors and they were also given training on anti-sand fly spray to be carried out on village councils in the district. Director malaria control programme Qazi Afsar on the occasion directed to conduct trainings to the village council nazims and councillors about the anti-sand fly spray to root out the disease from the district. He informed that they had set up camps in the affected area in the district and they were providing medicines to the people and also making social mobilisation to inform the people about the precautions to be adopted about the disease. He said they were also going to include lady health workers in the awareness campaign. Leishmaniasis. Never heard of it. @Orakzai, This is all due to not keeping their places clean. Occasionally I have seen a few guests who arrive at the President of Imran Khan. He will always appreciate to sit both legs by Mr Imran Khan and not to keep one leg over the other knee. If tired, the one foot may simply cross the other foot. Please do not raise one knee over the other knee while all the guests are straight. Thank you.